The stock is made of nylon fiber. Due to its material thickness of 10mm it's extremely sturdy. You will not be able to break or flex this stock. 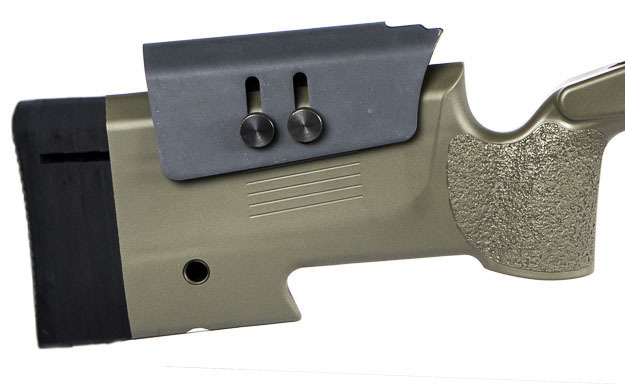 Both the grip and the handguard are texturized for maximum control of your rifle. 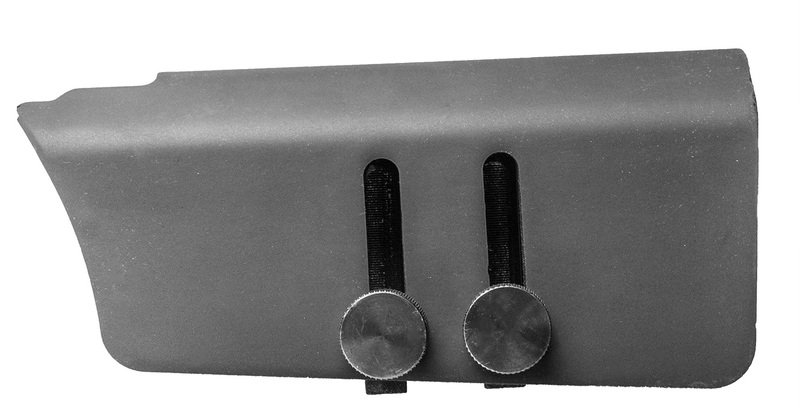 The front of the stock has two mounting points which enable the use of the accessory rail, which can be purchased seperately here. The adjustable cheek rest is made of metal and sits in an aluminium block which is mounted into the polymer. The way it's mounted doesn't allow any wobble. The surface is coated with rubber to ensure maximum comfort while shooting. It also prevents your skin from touching the cold metal. The QC sling mounts as well as the bipod stud are made of steel. There's six sling attachment points spread over the stock which enable lots of sling mounting options. The length to pull is adjustable with 4 buttpadspacers. 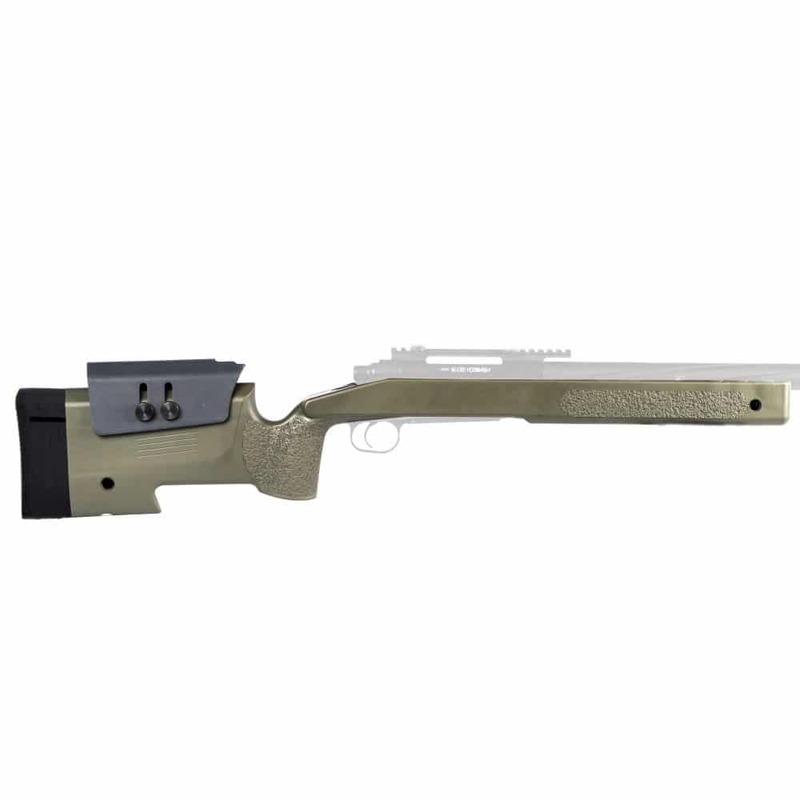 Two wide and two slim spacers enable you to adjust the stock to the exact length of your arms. The recoilpad is made of rubber for maximum comfort while operating your rifle. The additional front accessory rail can be purchased here.